Even the best cooks will make mistakes from time to time. One of the most common mistakes that new bakers make is not measuring flour correctly. If you take a measuring cup and scoop the flour out of the bag or canister, you are making the same mistake that many make. One of the most important cooking tips for making wonderful baked goods is knowing How to Measure Flour. 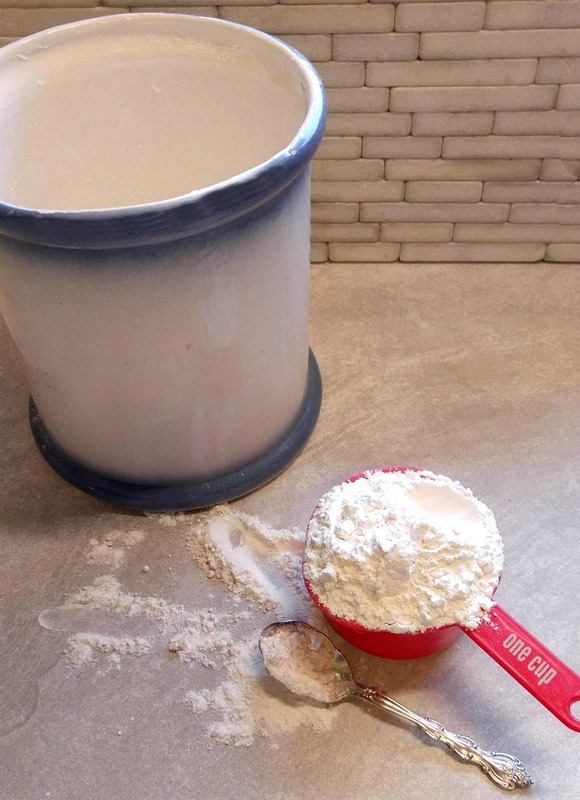 There are two ways to measure flour – in a measuring cup and on a kitchen scale. 1 cup cake flour and pastry flour weigh about 4 ounces (112 grams) each. I say approximately, and about in the weights above, because the results can vary depending on how the flour is scooped out of the container. 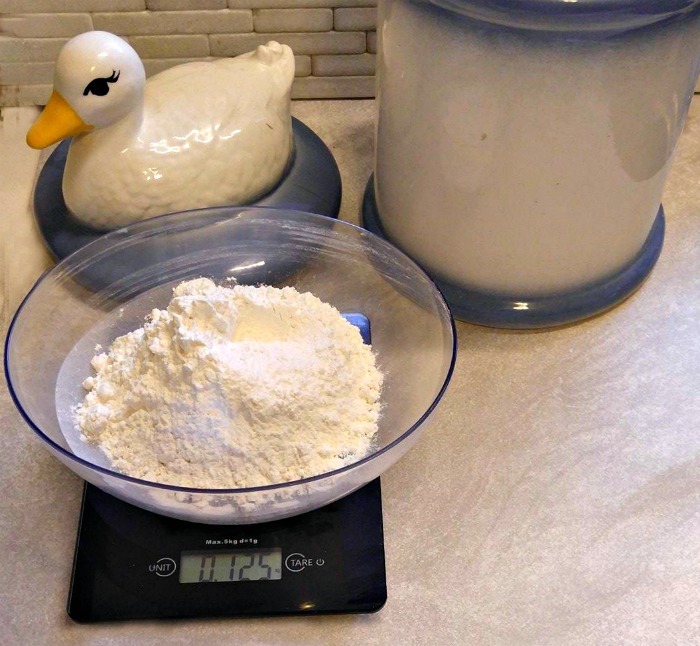 King Arthur Flour has a handy list of measurements for flour weights that covers just about any kind of flour you can think of. If a digital kitchen scale is not something that you have in your kitchen tools, then a measuring cup is probably how you measure flour. Reaching into the canister and scooping out a cup of flour does one thing very well. It PACKS the flour nicely. But packed flour is not exactly what we are going for in light baked goods, now is it? There could be a few ounces of difference in a scooped cup of flour and a weighed 126 grams of flour. That means that you are adding MORE flour than the recipe is calling for. And that extra flour? It will make for a heavy cake, dry cookies, crumbly pies crusts, and thick sauces. The solution to this problem is to spoon the flour into the measuring cup instead of scooping it. 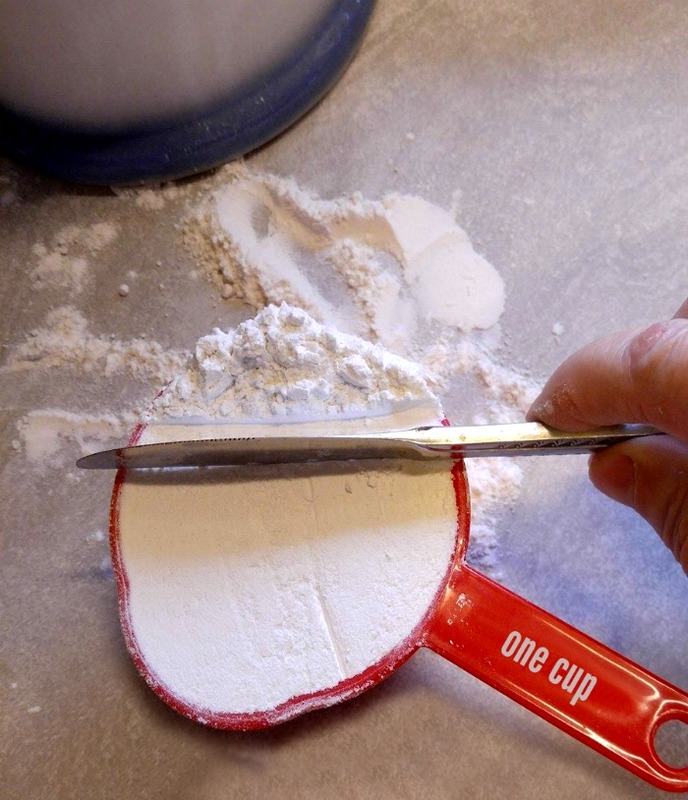 Using a spoon lightens the flour so that it doesn’t pack down in the measuring cup. Just spoon until the cup is overflowing with flour. Then you take a flat edge – a knife or spatula will do just fine as long as it has a flat edge and is long enough to fit across the top of the cup – and draw it evenly across the cup to remove the excess flour. That’s all there is to it! 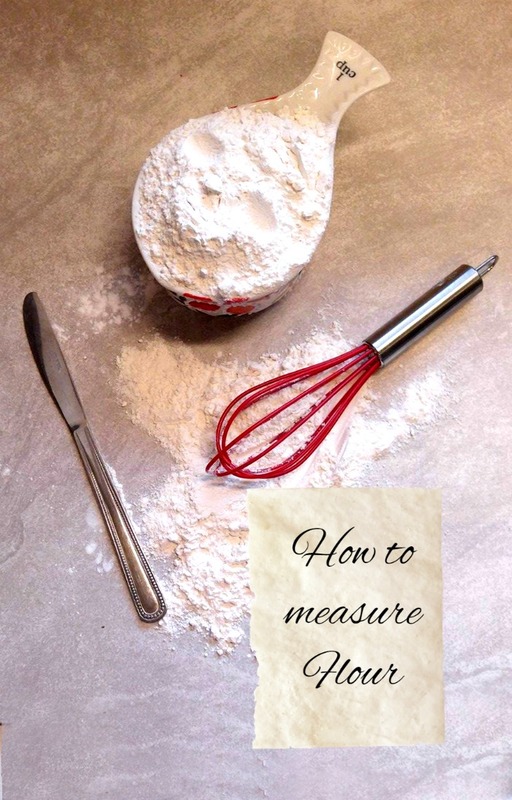 Knowing how to measure flour is the key to turning out light and beautiful baked goods. So promise me – no more scooping! If you have a kitchen scale, you can test this. Scoop out one cup of flour and weigh it. Then spoon out a cup.level it and weigh it. See the difference? I bet it is at least 50 grams or almost 2 ounces! !